Collaborations amony nonprofit arts organizations come in all shapes and sizes, and can be initiated for any number of purposes. While collaborations in the arts sector are pervasive, the practice of collaboration is not well understood or it is not consistently applied. In contrast, the approaches to collaboration in other sectors are researched, detailed and well documented. 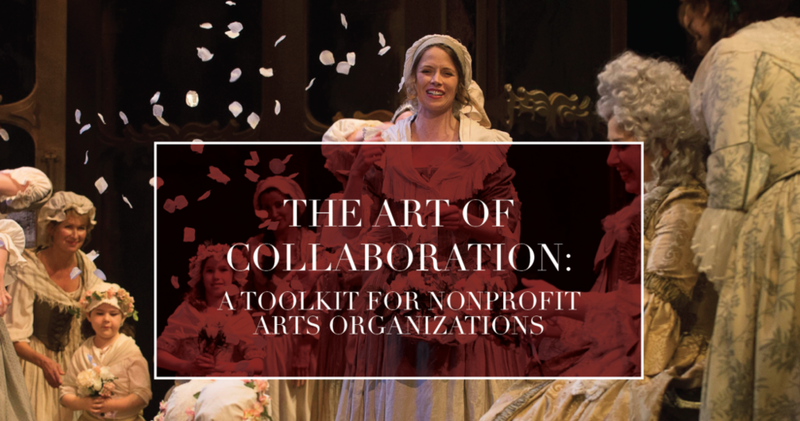 This toolkit relies on these collaborative practices, yet its aims to set forth a practice that is adapted for nonprofit arts organizations. While the information contained here can be applied to many collaboration situations, the specific point-of-view is to describe a practice to support two arts organizations coming together to jointly present a performance or event. Supporting the formative stages of a joint project and offering a means for implementation that will produce an efficient, successful process, the described practice will appear, to many, to be more involved and labour intensive than is customary for collaborations in the nonprofit arts sector. Yet, through a systematized process that encourages greater competencies and capacities, it is possible to achieve stronger, fulfilling partnerships for greater impact. While the toolkit offers a detailed process of establishing relationships, structures, goals, outcomes and measures, it should not be considered prescriptive. Instead it should be scaled and adapted to serve each situation.